Conference will be held in Fondazione Mediaterraneo – Palazzo Negrotto Cambiaso – Via Portobello, 14, I-16039, Sestri Levante, Genoa, Italy (www.mediaterraneo.it). Sestri Levante is a town in Liguria, Italy. Lying on the Mediterranean Sea, it is approximately 56 kilometers (35 mi) south of Genoa and is set on a promontory. While nearby Portofino and the Cinque Terre are probably the best-known touristic destinations on the Italian Riviera, Sestri Levante has several beautiful natural bays for visitors. 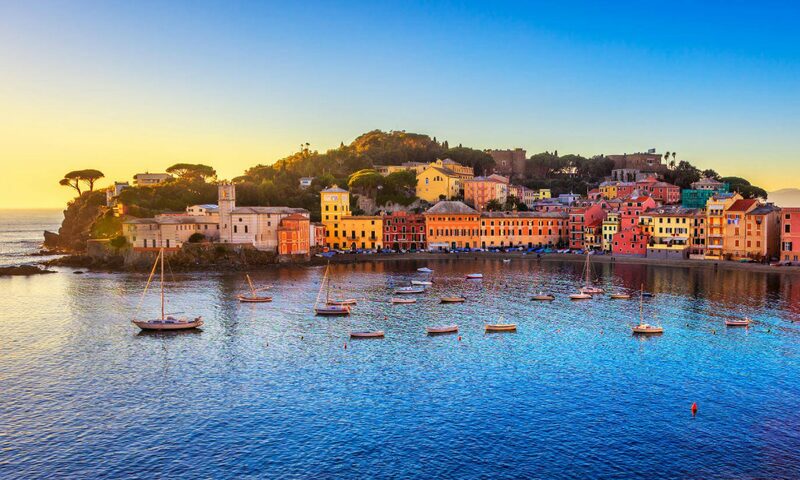 Sestri Levante is found approximately halfway between Genoa and La Spezia. The town has two bays: Baia delle Favole, (Bay of the Fairy Tales), and Baia del Silenzio, (Bay of Silence). The original part of Sestri Levante is actually on a peninsula, with the Baia del Silenzio (also known as “Portobello”) on one side and Baia delle Favole on the other. Baia delle Favole was named in honor of the Danish writer, Hans Christian Andersen, who lived in Sestri Levante for a short time in 1833. Close to the place there is a big number of hotels which cover different ranges of prices.